Caro-Seuss-el is a carousel in Seuss Landing at Universal's Islands of Adventure. It's worth seeing on a time-permitting basis. 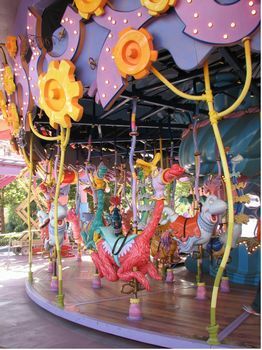 A classic carousel, with wacky Dr. Seuss animals replacing the traditional horses.